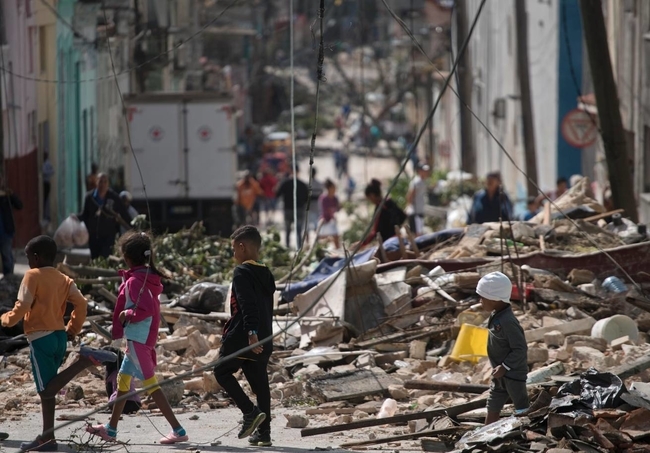 The British Cuba Solidarity Campaign has donated £2,000 to the relief appeal set up by the Cuban government following the shock tornado which ripped through five municipalities of Havana on 27 January. Four people were killed and 195 injured in the worst storm to hit the Cuban capital for many years. Damage to homes and infrastructure was considerable, with total and partial collapse of buildings, and winds tearing up and overturning trees, vehicles and electricity cables. If you would like to donate to relief efforts, CSC has launched and appeal to collect donations. We will make regular bulk transfers to Cuba to avoid international banking fees on individual's transactions and difficulties people may have with personal bank transfers due the US blockade.